Polisario leaders and executives of an association that supports the Sahrawi separatists are being sued for the embezzlement of € 20 million and the diversion of humanitarian aid destined to the populations in the Tindouf camps. The complaint was submitted Thursday to the anti-corruption prosecutor in Madrid by the Spanish union of civil servants “Manos Limpias” (Clean Hands), one of the most influential trade unions in Spain. In its complaint, “Clean Hands” referred to the damning report published earlier this year by the European Anti-Fraud Office (OLAF) which revealed a fraud of € 20 million in the handling of the humanitarian aid donated by various NGOs between 2003 and 2007. 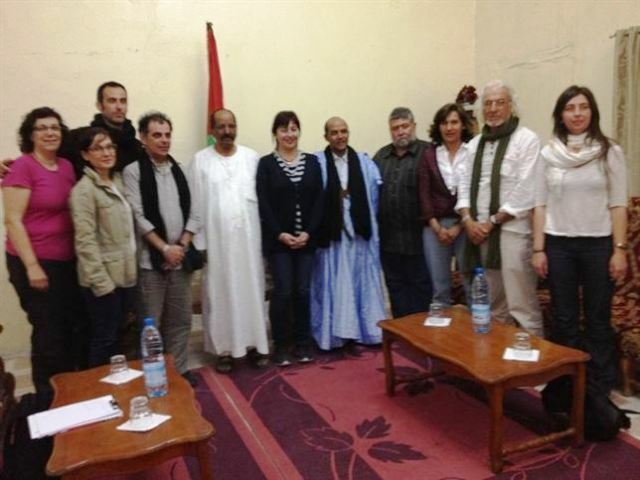 The union asks the anti-corruption prosecutor to initiate legal proceedings against the authors of this large-scale trafficking, namely the Polisario leaders and the executives of the “Coordination of solidarity associations with the Sahara “(CEAS-Sahara) for massive fraud offense. According to the plaintiffs, the fraud accounts for € 20 million and consists in the overestimation of the number of people living in the Tindouf camps, the embezzlement of money and the sale of stolen goods in neighboring countries. Accusers were quoted by Europa Press agency as saying that representatives of the Polisario in Spain “channel,” through various NGOs, the assistance requests to different Spanish communities and associations, and that the donations end up at the CEAS-Sahara, headed by José Taboada, that supervises the fraud. “The lack of control and monitoring by the different Spanish authorities and audit bodies of the Autonomous Communities and the Court of Auditors, have allowed this fraud to continue with impunity,” say the plaintiffs. The union also requests the opening of an investigation into NGOs that granted aid or subsidies to the Polisario, as well as into “the coordination of solidarity associations with the Sahara.” It equally required to unveil the list of all those who applied for aid on behalf of the Polisario in Spain. OLAF had revealed in its report that Algeria and the Polisario have been perpetrating since 1991 an organized and systematic misappropriation of much of the international humanitarian assistance. The €10 million annual aid that the EU granted to the Tindouf camps population, through the European Commission’s Humanitarian Aid and Civil Protection department (ECHO) since 1991, was not spared by the shameful trafficking.